According to Net Marketshare data, quoted by Ars Technica, Safari and Internet Explorer finished 2012 with remarkable market shares, which does not change the landscape at the top, but there was a lot of activity with the other competing browsers. In the mobile front, Android’s standing was stronger at the end of 2012 than it was at the beginning, putting it in a comfortable second spot of 22%. Opera mini saw decline through the year, but made a noticeable uptick to keep itself above a 10% share at the year’s end. Microsoft’s place on the mobile web is noteworthy because for the first time in years, it broke more than 1% at the end of 2012. Yes, that is still miniscule, but that is an indicator of strong growth, since 1% of a larger market compared to two years ago may indicate that Windows Phone is gaining some traction. Symbian is still moving the needle with 0.77%, BlackBerry is a point higher at 1.77%. Safari dominates with over 60% share of the mobile browser landscape. 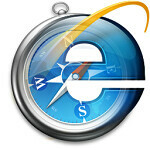 In desktop browsers, Internet Explorer maintained it dominance thanks to continued strength in Windows 7 and Internet Explorer 9, giving it an overall market share of about 55%. Firefox held on to second place at just under 20% while Chrome gained a sliver of ground to just a hair over 18%. The rest of the field (Safari, Opera, etc) were all well under 10%. The interesting news lies with Microsoft, despite its minute, yet significant gain in mobile, and its commanding hold in the desktop overall, according to data from Net Market Share, Windows 8 registered 1.72% compared to 45% for Windows 7 and 39% for Windows XP, which is not a stellar showing for Windows 8. Akamai is not identifying Internet Explorer 10 in its statistics yet, but is registering an “unknown” browser, noting a sharp increase on Christmas day from 1.3% to 2.4%. That may mean a bunch of Surface tablets and Windows 8 computers got unwrapped. Double-click the images to zoom-in if you want a closer look. Yahoo article: "Google & Facebook Set Company Records for Lobbyist Spending" LET ME QUOTE FROM THE ARTICLE: "Google increased its lobbyist spending from $1.48 million in the first quarter to $2.06 million in the second. For the first time, the company is spending more on lobbyists than Microsoft." http://news.yahoo.com/google-facebook-set-company-records-lobbyist-spending-175837556.html What was that you were saying about Microsoft again..? You know, everytime I see you post that bulls**t blog link from that bulls**t unreliable hobby tech blog post (filled with personal opinions) I will re-post my link too. Just like You do. Funny, huh? Depends what the company is fighting for Google and Microsoft do not see eye to eye on internet openness. So if Google is fighting for open internet and Microsoft is fighting for a regulated internet. I wouldn't be so quick to call Google evil. I mean what company creates software and gives it away. Microsoft and Apple are very greedy companies and I have never seen anything good come from greed. What Google publicly says is one thing, what they don't say is another thing. And who knows what that is? It's the same for all companies. I tell you what company creates software and give it away. None. Google don't just give stuff away for free, they run a business. Business don't give stuff away unless they are sure to cash in on it somewhere else. In Google's case by effectively eliminating competitors and recouping the costs of production through deep and rigid collecting of user information to use in their advertising business. Their main income. Google owns the Google products, you don't own them. Google have not given them to you. And there's no need to start talking about Android, because Google only made it "freely available" in order to gain instant marketshare so they could cash in on the connected Google services. But what you get with your "free services" is the exact same thing as what Microsoft is looking for - a wasteland without comeptitors. Because face it - you've already said it yourself - who can compete with something that comes at no purchase cost? None. And that's exactly how Google likes it, because in the end - only Google (and their customers) are the beneficiaries. The competition is being crushed beneath them, effectively giving Google the absolute monopoly they secretely crave for. Because I hope you understand that Google is not in this for fun, they are in this to make money. And the less competitors you have, the more money you make. Ask Microsoft. So, what is really the difference in all this? That people prefer stuff as long as they don't have to purchase them, and that no Google lover cares about choice and competitors since they comfortably favor Google to be the one in monopoly, even though it boils down to the exact same thing as if Microsoft is in monopoly (or any other company)..? It's not the business methods that is the danger here, which everyone seem to think, it's the result of them. A business monopoly is greedy and awful no matter who sits on top, because they all function the same way - to keep competition down and to bring record profits to the shareholders and inverstors. The real owners of Google. And they are not you, and not me. Microsoft sure has not done everything right in their line of business tactics, but I'm amazed that so many people are blind to the fact that Google is silently sneaking up to conquer all competition and make themselves the new Microsoft. Can you imagine how many companies have gone under because of the inability to stay afloat in the competition of Google's services being offered for free? We all like free things, but how do you like in the end having one company in control of the only services available? Once it was Microsoft - next up: Google. You should look in the history books. A cruel king keeps the peasants from revolting by having them entertained. But in the end, only one person is king, the rest remain as peasants. You're witnessing it. That must make you paid by Google? Anyway, Statcounter uses a flawed method for counting web traffic, a flaw which Chrome thrives upon. pcmag.com/article2/0,2817,2404714,00.asp From the source: "The real problem is just what StatCounter counts: pre-rendered Web pages that the user never saw. When a Chrome user types in a Google search, Chrome pre-loads an invisible tab in the background. StatCounter still counts this as a page view. By comparison, Net Applications removes these artificial results." That is why the results differ so much throughout all the statistics depending on source. It's funny that anytime apple wins, or leads a catagorey certain members of android nation quickly jump on the article, and refute it, claim the site can't b trusted and what not. When android wins, or leads a catagorey it's all good though. Just deal with the fact that iOS is super strong n the mobile world, it's an inhouse OS, but very stable and good to use. I use both android, and iOS on a regular basis, and both are simply awesome, and both have their hiccups and hangups that I don't like. Overall they r the top 2 for a reason. Stop being a hater, and just deal with the fact that android is great but not perfect, iOS is great but not perfect. People use. And love both on the regular... I know I do. well, I like to the see truth in things, and when a story or stat is flawed, it is nice that somebody has a brain to point it out....typical iphone user just goes with the flow and goes along with what they are told. I was wondering if Ars Technica were lowering (payed by MS) their status to something like Pyramid Analyst who claimed that WP will have 30% market share in 2013. You clearly have never visited or read Ars Technica. They are far more reputable and serious than PhoneArena. They have Real journalists, not these hobby tech bloggers. I really hope the author of this article would put disclaimer in their post.. something like this: "... that's according to ars technica, but the number really look different in statcounter"
I'd prefer not to see anymore of these mobile browser market share articles until they can account for "desktop mode". In my household there are 4 Android devices that show up as Safari 90% of the time, the other 10% of time showing up as Opera Mobile or Mini when I get a wild hair and go back to giving that a try. Caveats like this render these articles meaningless. The thought of safari makes my wanna vomit. AOSP browser with flash all the way. No surprise at all. Everything is normal with this statistics. I can care less what u believe. I love my iPhone its a sweet device. Believe that. ok, so, then do not fret over all of this on phonearena as it gets old after awhile. My wife has an iphone, she has had the 4S for a year. She tells me the camera is not as good as it used to be, and I agree as it has issues adjusting to light. I believe it is a good mid ranged phone, just too small for me. My kids love their 32GB ipods and their original ipad is popular for game playing, such as the Hobbit or Skylanders. The point being is that we constantly here reports about mobile traffic and everyone, who knows a little something, knows that these reports are flawed, to some degree. Personally, I do not see why Phonearena keeps reporting this irrevelant junk, but that is phonearena. BTW, you may want to start using chrome on your PC or MAC (will chrome work on MAC), as phonearena allows 13 companies to track what you are doing. With chrome, they get all blocked. It's "couldn't care less". How so many people misuse this phrase I will never understand. That's pretty sad, I thought chrome overtook IE months ago. IE leading the traffic for desktop browser chart is no brainer, just like the users whom using it. What surprise me how Firefox still have supporters after all of the lackluster "improvement" over the past 4 years.